I purchased this from the supermarket on offer of around £6-£8 off RRP, mostly because I love The Balvenie Doublewood and wanted to try further expressions from The Balvenie distillery http://www.thebalvenie.com/. 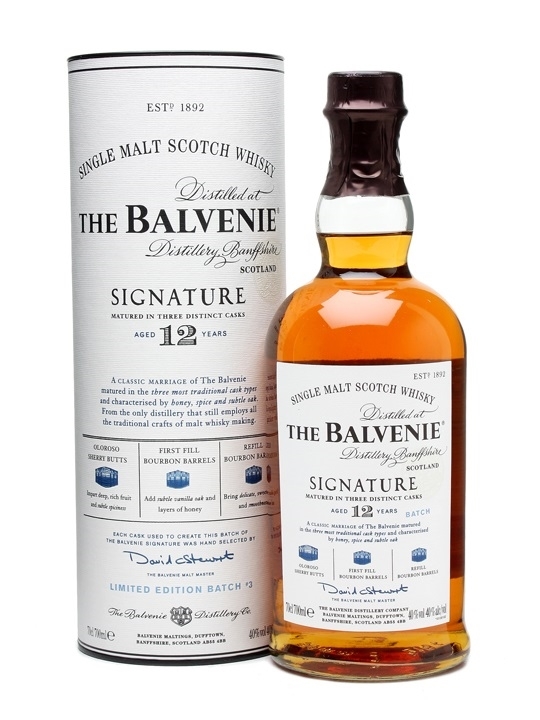 Also The Balvenie were the first brand I had registered with online and started using their ‘Warehouse 24’ site which allowed you to rate your whisky by colour, aroma, taste, etc. and score them. From here started my earliest attempts at making tasting notes, and also discovered the more social side of tasting whisky as I would canvass opinion of all around, quickly realising that my Fiance had a far superior nose than I had! More balanced than the Doublewood this expression reveals how a single malt marriage can achieve and surpass what blends set out to do. Unlike blends, which I usually find taste of everything and nothing all at once so you can’t quite pick out any individual flavour, this revels in the individual characters of each finish. Yellow gold with a hint of copper blush. Sweet, floral honey with a hint of toffee and vanilla. Sweet vanilla, honey and oak. Subtle fruitiness and cereal flavours creating a well rounded but smooth not complex taste. Vaporous, spicy and a little lingering warmth but not unpleasant slightly drying then mouth-wateringly tempts you into taking another sip. Possibly, it is not as memorable as the Doublewood which I would permanently have in my collection. This is interesting and very drinkable but I think this almost simplifies single malt to blended examples. 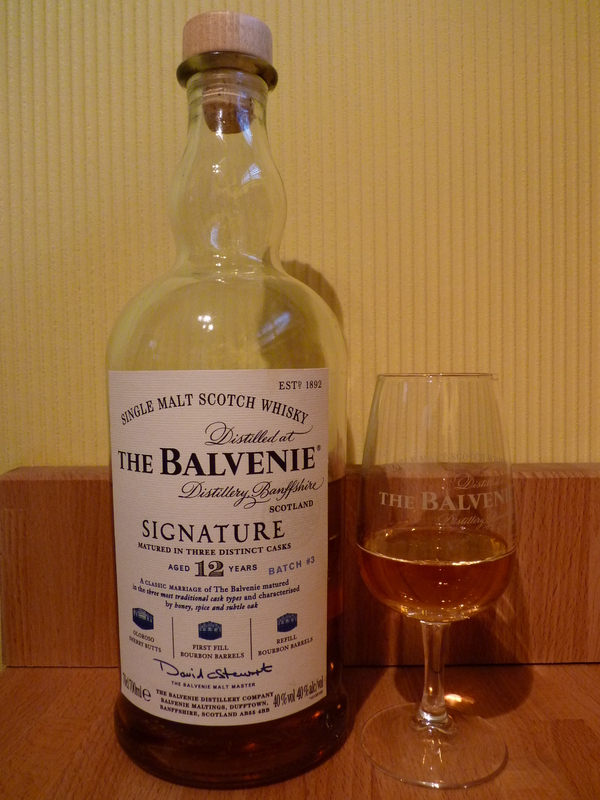 This is really The Balvenie just showing off at how perfect their single malt can be, I think I like my malts flaws and all, that way I never forget their character.